f space is indeed the “final frontier,” Edward Lassiter is a frontiersman of the first order. He has been a leader in developing and using new technologies for defense systems during a distinguished engineering career. Born in Murray, Kentucky, Edward Lassiter lived in Calloway County before moving to Louisville in 1943. After graduating from Valley High School, he studied at Murray State University for two years before transferring to the University of Kentucky, where he graduated with a Bachelor of Science degree in electrical engineering in 1957. As an undergraduate at UK, he was a member of Tau Beta Pi and Eta Kappa Nu honor societies and served as president of the student chapter of the American Institute of Electrical Engineering. After graduating from UK, Mr. Lassiter moved on to the Massachusetts Institute of Technology, where he was a research assistant at MIT’s Electronic Systems Laboratory. He received a Science Master of Electrical Engineering degree from MIT in 1959. He also earned a Master of Engineering degree from the University of California at Los Angeles in 1968 and was a graduate of the Harvard University Business School Advanced Management Program in 1980. Upon graduation from MIT, Mr. Lassiter joined LTV Aerospace Division in Grand Prairie, Texas as an electronic systems engineer. While at LTV, he also served as an adjunct professor in the electrical engineering department at the University of Texas at Arlington. Mr. Lassiter accepted a position with Space General Corporation of Azusa, California in 1961 and later joined The Aerospace Corporation as a member of the technical staff in 1962. The Aerospace Corporation is a non-profit, federally funded research and development corporation, charted by Congress to provide architectural/ system engineering services for the U.S. Military/Intelligence Space Program. Mr. Lassiter’s leadership abilities were noticed quickly. He held increasingly responsible management positions before being named program director of a major national security space program in 1966. He remained there from the feasibility/concept definition phase through the operational deployment phase which included the launch and operation of the first six satellites, followed by a competitive Block II Upgrade contract award. He was named program director for the Global Positioning System in 1974. He was promoted to general manager of Department of Defense Shuttle Integration in 1979, and was responsible for integration of all DoD satellites on DoD NASA shuttle missions. He was later appointed general manager of the advanced planning and defense development divisions. Mr. Lassiter was named vice president, Satellite Systems Operations in 1985. He was responsible for all DoD satellite programs including early warning, communication, navigation, weather, and space test mission areas as well as the world wide Space Control Network used for command and control. 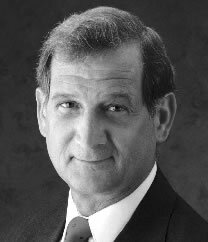 In 1990, Mr. Lassiter was named group vice president, development group, responsible for the aerospace research laboratories, the advanced planning and the advanced technology divisions, the national security space systems operations, and new business activities. He retired from The Aerospace Corporation in 1995 and took on a new challenge. Evaluations, Inc., a space systems engineering firm doing business with major space contractors and various government agencies. Numerous professional organizations have benefited from Mr. Lassiter’s leadership. He has participated in the Naval Studies and Air Force Scientific Advisory Board summer study activities and served as chairman of a senior executive review panel for the National Reconnaissance Office. From 1986 until 1993, he served as United States delegate to NATO AGARD, a scientific research and development organization of the NATO member countries. There he sponsored several space symposia and headed a GPS Lecture Series for selected NATO countries. Mr. Lassiter has served on the board of directors of the Fuller Evangelistic Association, North Park University and Seminary and has been involved in various Christian organizations. He has traveled to Russia and the former Soviet Union countries to speak to scientists and engineers about the U.S. space program and to share how his faith has impacted his personal and professional life. He speaks at churches, conferences, and retreats and meets regularly with several men’s groups in Southern California. Mr. Lassiter and his wife, Mildred Geiger Lassiter, reside in Rancho Palos Verdes, California. They are the parents of four children: Mark, Eric, Linda and Jeffrey. The Lassiters have eleven grandchildren.